Getting revenge on a faithless swain. Sweeter than a whole box of Thorntons. 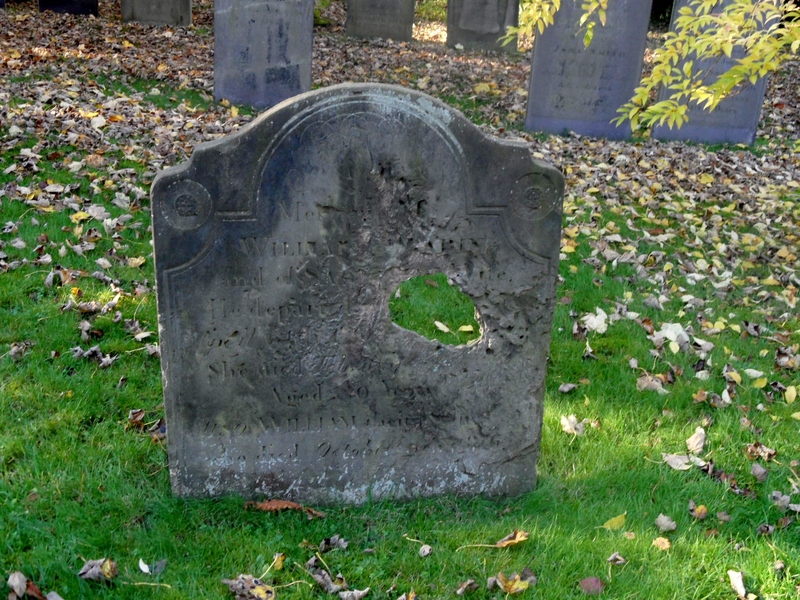 Frederick William Hackwood also mentions a similar practice in his Mercury column on “Staffordshire Superstitions’ (1923), ‘Among the lingering superstitions are present-day memories of an old woman given to witchcraft sticking a bullock’s heart full of pins with the vicious intent of piercing the heart of some deadly enemy with whom she had quarrelled beyond all hopes of forgiveness or reconciliation”. Luckily, a defence against these dark arts did exist. In a book published by the Folklore Society in 1890, Alexander M McAldowie tells of two witch brooches which his brother Robert found in Staffordshire. One was discussed in a section of the 1896 Journal of the British Archaeological Society called ‘Notes on North Staffordshire’ and is described as being heart-shaped with unequal sides, little more than an inch in height and made of silver with eighteen crystals. 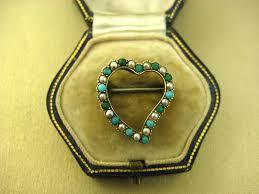 Apparently, these talismans were often bought alongside wedding rings and would keep the wearer safe from harm. In a post on witch brooches, the Spyders of Burslem blog includes the notes given to the North Staffordshire Field Club in 1891 by Robert McAldowie. What’s extra interesting for us here is that he mentions a witch brooch he got in Lichfield from a jeweller who had bought two of them from an old servant of a family once living near the city but had melted one down for silver. I’ve not managed to track down the whereabouts of any the Staffordshire brooches yet, assuming they even still exist. There is a Victorian one for sale on a vintage site here if you want a belated present that looks pretty and has the added bonus of protecting your beloved from witches and evil in general. However, if it’s a hare’s or bullock’s heart you’re after, I’m afraid I can’t help you. Try Waitrose. 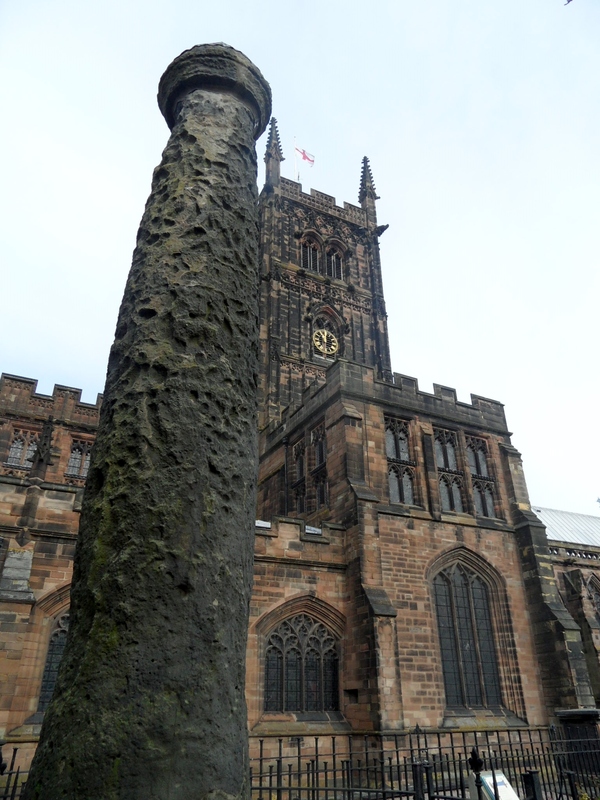 In the churchyard at St Chad’s in Lichfield there’s a gravestone belonging to John Prickett who died in March 1832, at the age of 63. According to the inscription, he was ‘thirty Years keeper of the Goal in this City’. 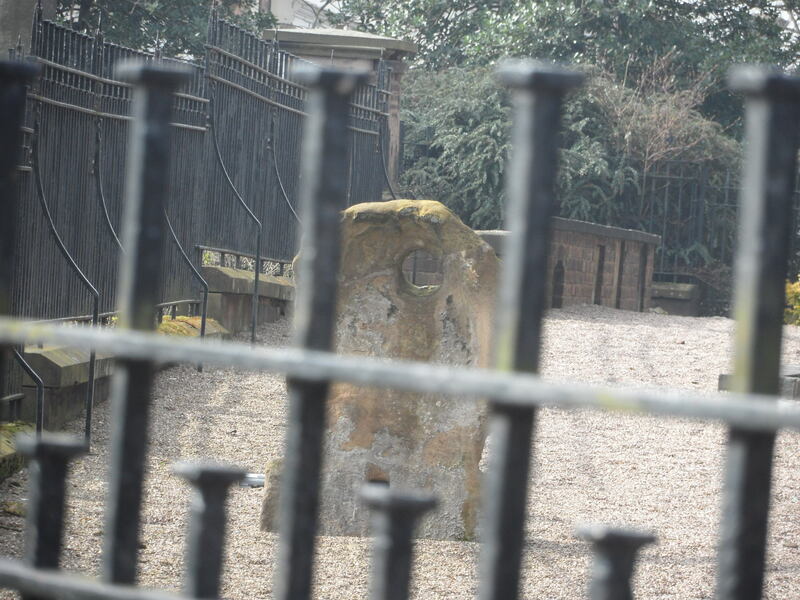 Clearly, Mr Prickett’s epitaph is not referring to a Peter Shilton-esque stint in a number one jersey for Lichfield City FC, so has the stonemason made a spelling mistake? 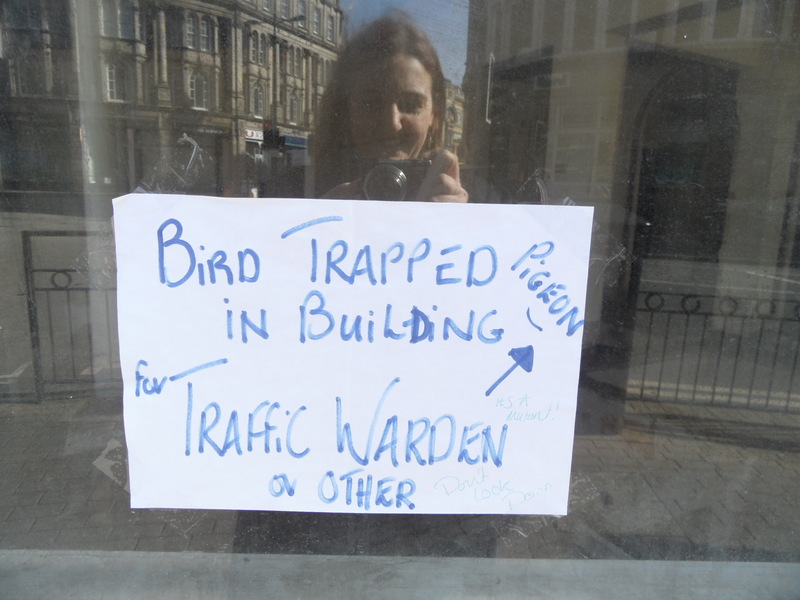 Not exactly…. 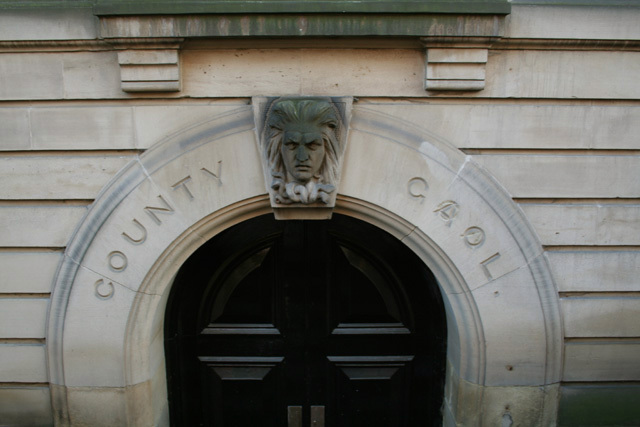 In Dr Johnson’s dictionary (I used the online version), the entry for ‘gaol’ is as follows: GAOL (gaol Welsh; geole French) A prison; a place of confinement. It is always pronounced and too often written jail and sometimes goal. John Ash includes a separate entry for ‘goal’ in his ‘New and Complete Dictionary of the English Language’ in 1775 defining it as ‘gaol or jail’, with a note that this is the incorrect spelling (1). Incorrect it may have been, but this spelling of the word as ‘goal’ crops up frequently in old newspapers (including the Newcastle Courant newspaper on 22nd February 1716 who reported that ‘A Brazier in Holburn is committed to Chelmsford Goal for robbing on the highway in the County of Essex’ and closer to home in April 1832, the Staffordshire Advertiser listed the people committed to Stafford Goal) and is also in evidence above the door of the Shire Hall in Nottingham, underneath a later amendment to the more usual spelling. 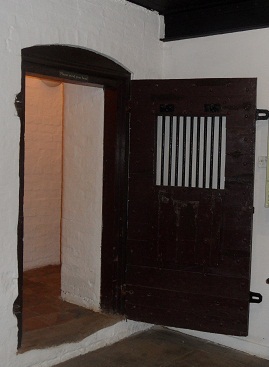 By 1801, around the time Mr Prickett was handed the keys, Lichfield Gaol had fourteen cells but during the nineteenth century doesn’t appear to have ever reached anything like full capacity. 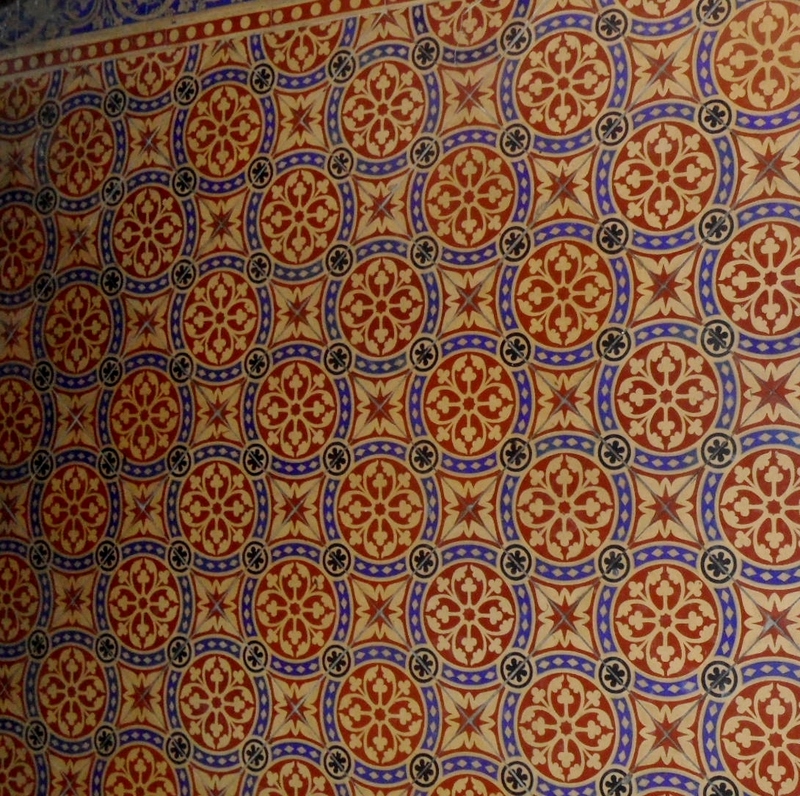 In a report submitted to the government regarding the proposed Gaols Act of 1823, John Prickett stated, ‘The small number of Prisoners at this time in this Gaol and the smallness of the Prison render it difficult to introduce the Regulations required by the new Act and many of them cannot be acted upon in a Prison on so small a scale’. A report to the House of Commons in 1835 said ‘It frequently happens that there are no prisoners at all but three or four may be taken as the daily average’ and between January 1st and December 31st 1839, only 34 people were admitted (including two debtors). Perhaps one of the reasons for the low numbers of inmates is that they kept escaping. 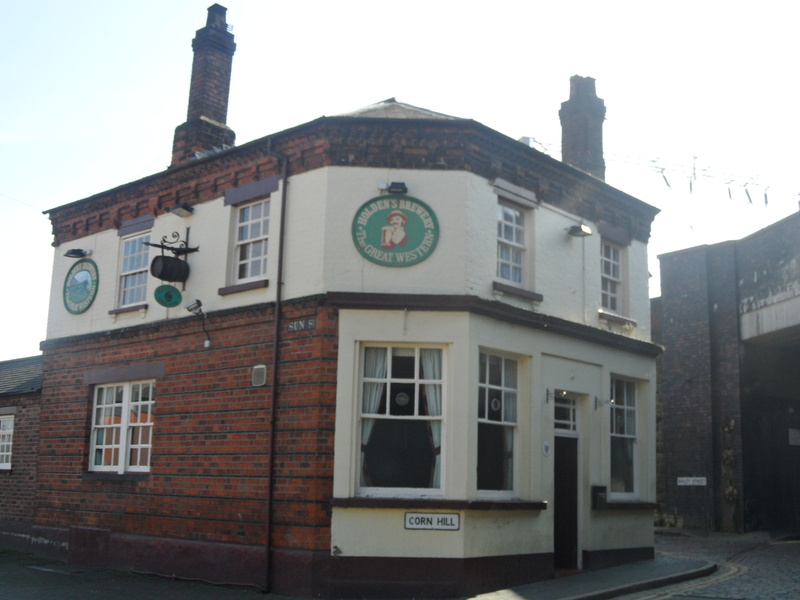 Some, like Smith and Cotterell in March 1837, used the classic sheets tied together method, and climbed over the wall into the yard of the George IV pub next door. Others were less conventional – in April 1890, Harry Oliver climbed up into a ventilator space above his cell and crawled beneath ‘the floor of the volunteer armoury above’, before dropping ten feet into the yard of the George IV. 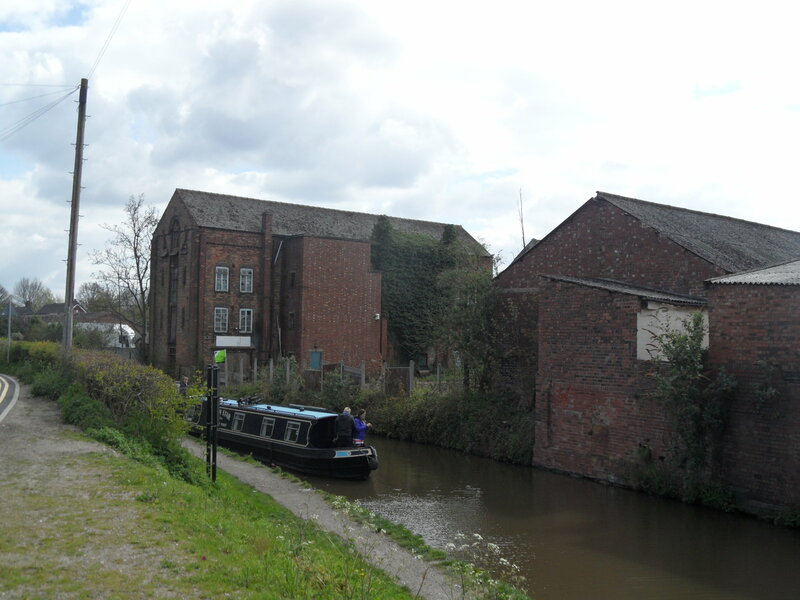 Perhaps the greatest escape happened on Mr Prickett’s watch (who, in this instance, was obviously not watching) in July 1820 when it was reported that ‘the whole of the prisoners in the county gaol of Lichfield, six in number, made their escape’. 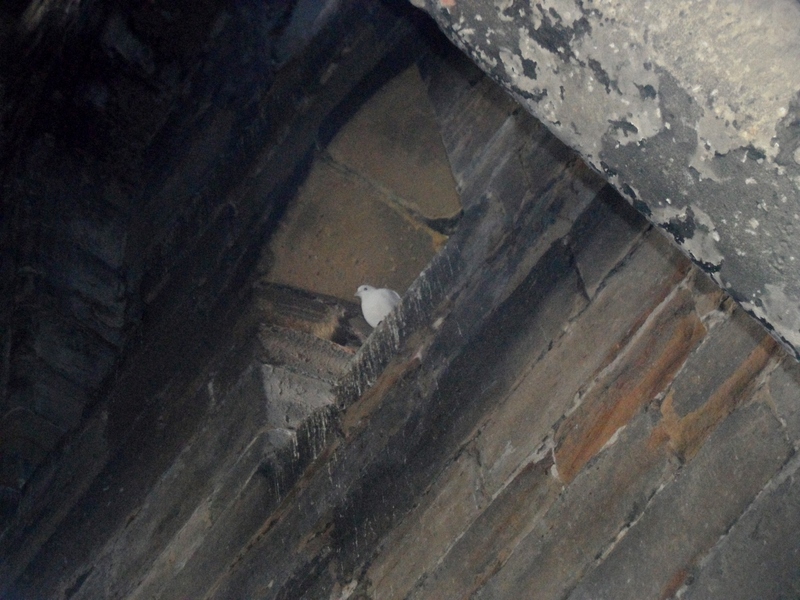 You can find out more about the place that they were escaping from by reading the reports written by the Inspector of Prisons after visiting in 1839 and 1847 and the Old Guildhall Cells are open on Saturdays until September for you to visit yourself (more info here). 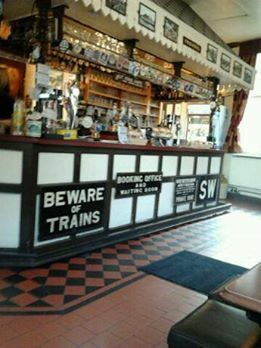 If you happen to spot any of the former residents’ initials and names, ‘cut deep into the woodwork’, as noted by the Inspector, please let me know! 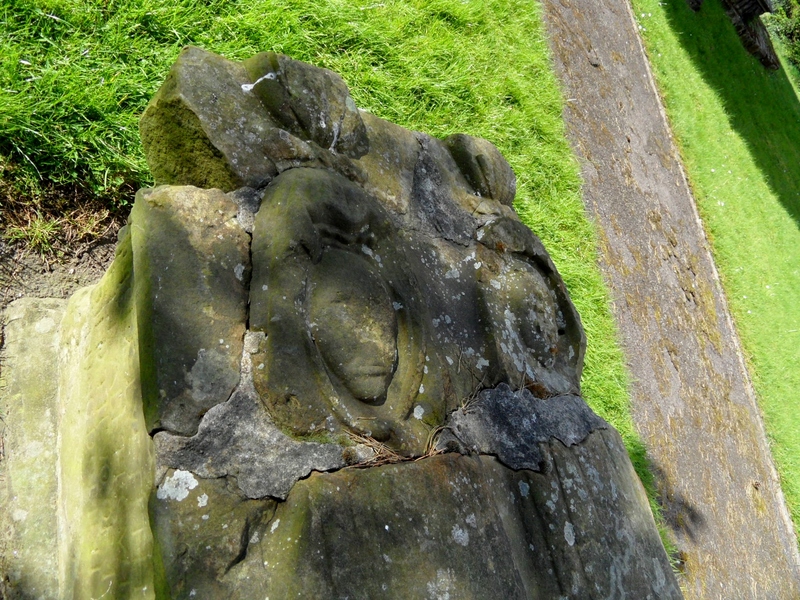 At the church of St Michael’s and All Angels, in Hamstall Ridware I was greeted by four arms waving (a sword) at me from a tomb. 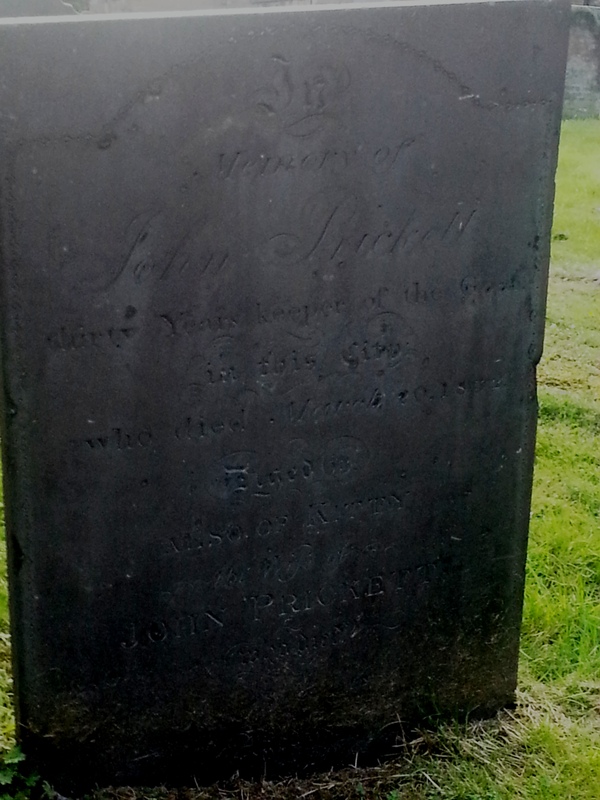 It belongs to the splendidly named Thomas Stronginthearm, who left this small village for the bright candles of Chicago in 1803, before making a final journey back home home to rest in the Staffordshire soil which his family had toiled upon – according to the church booklet, the Stronginthearms were yeoman famers. On the subject of baptism, there are three fonts here. 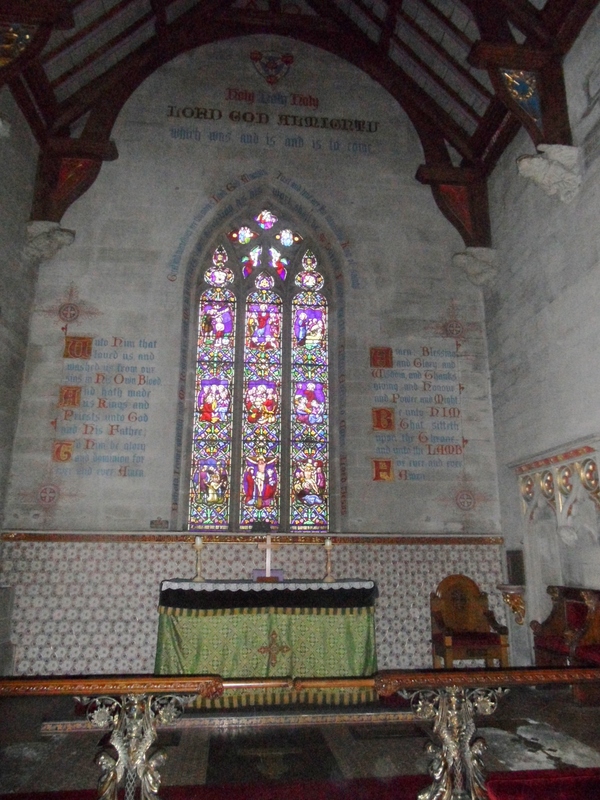 Inside the church is the one that is currently used, which dates from nineteenth century and there’s the lovely Norman bowl which was relocated here from the church of St James at Pipe Ridware. Outside, and being used as a flowerpot, is the third, also said to be Norman. 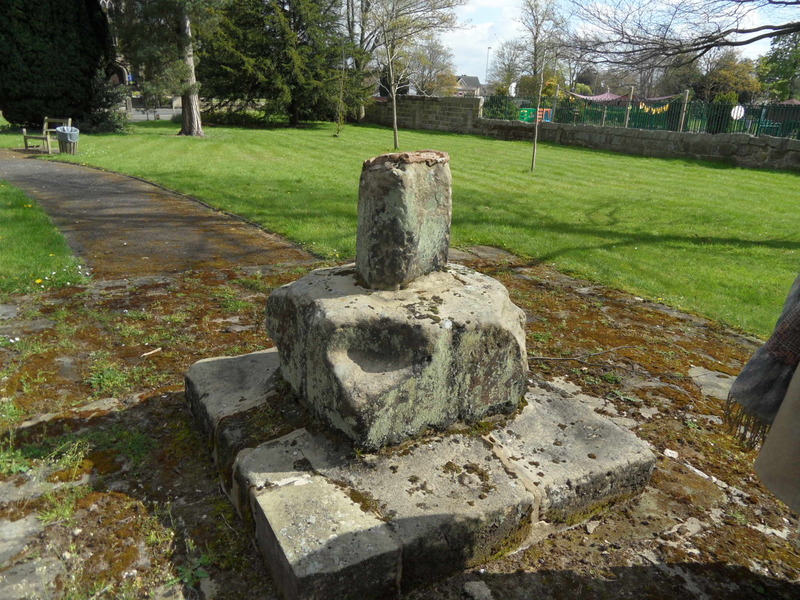 At the time of the Burton Scientific Society’s visit to the church in 1924, this font was on the vicarage lawn. 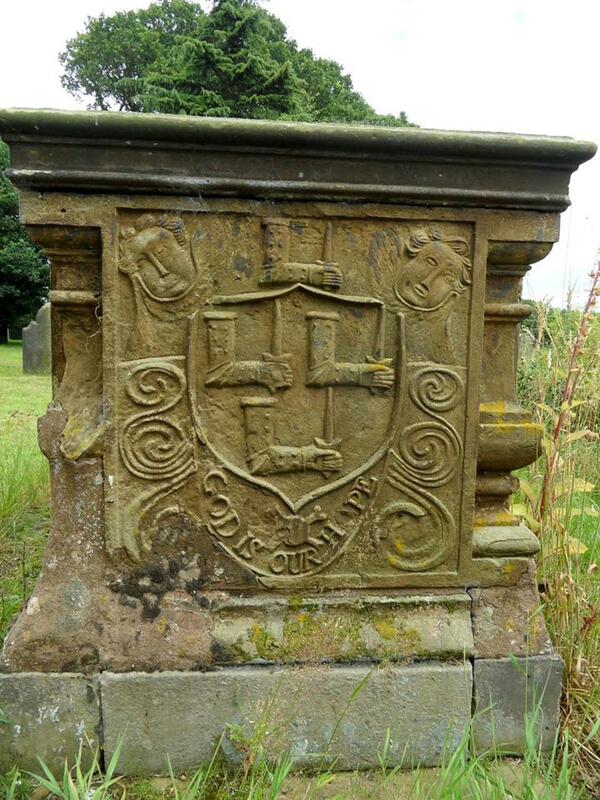 One of the society members, a Mr Noble claimed that it was the relatively recent work of an Armitage mason who did a good trade in producing mock ancient stonework, for people with antiquarian tastes. 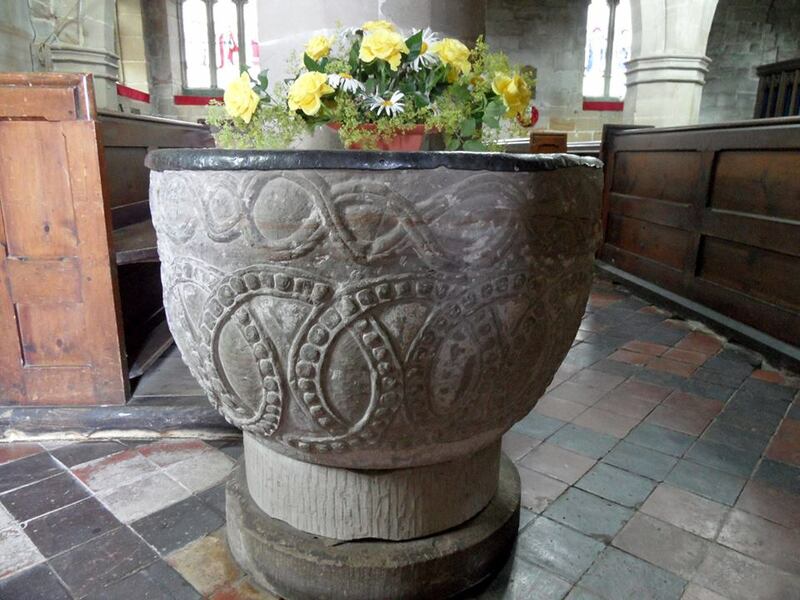 However, the Corpus of Romanesque Sculpture in Britain and Ireland seem happy that the font is twelfth century, and presumably they know what they are talking about. 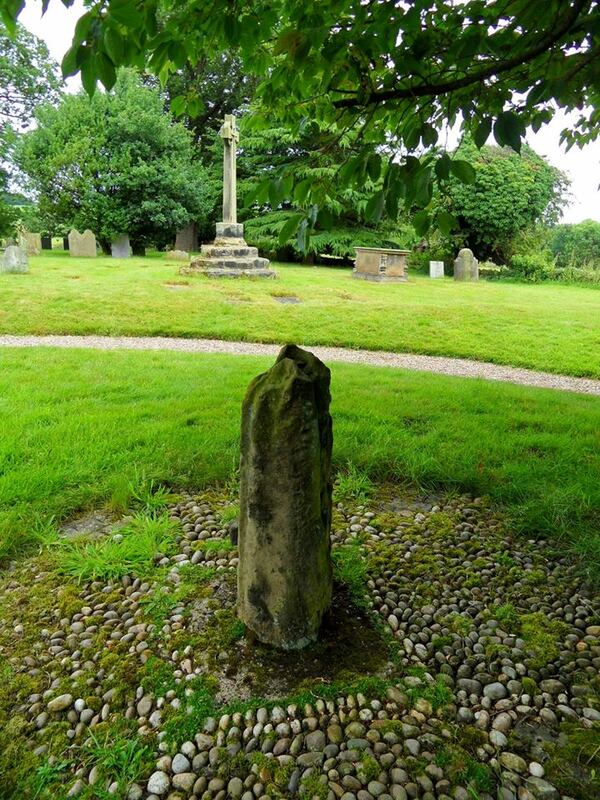 There’s also the base of a medieval churchyard cross here to which a much later shaft and cross have been added, although a fragment of the original shaft remains nearby. 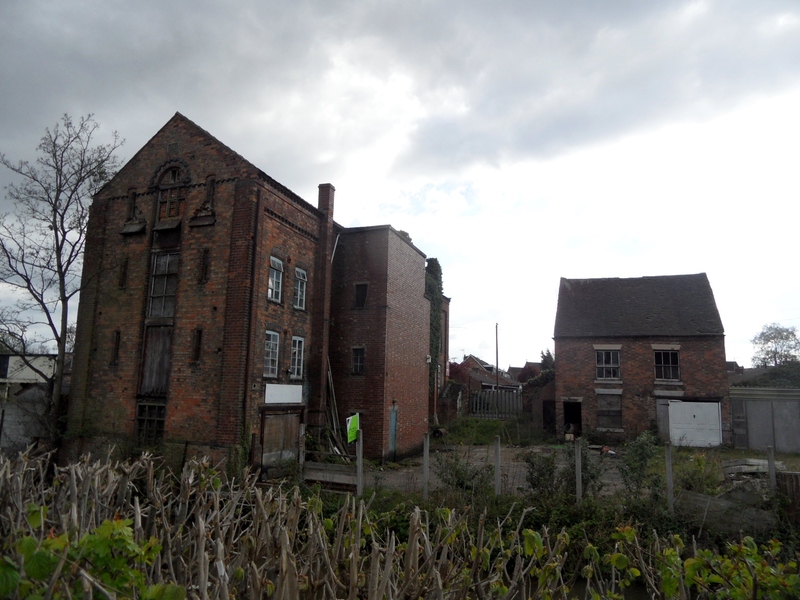 It was while I was having a look at this, that I noticed the ruins of a brick building, looming up behind the church tower. 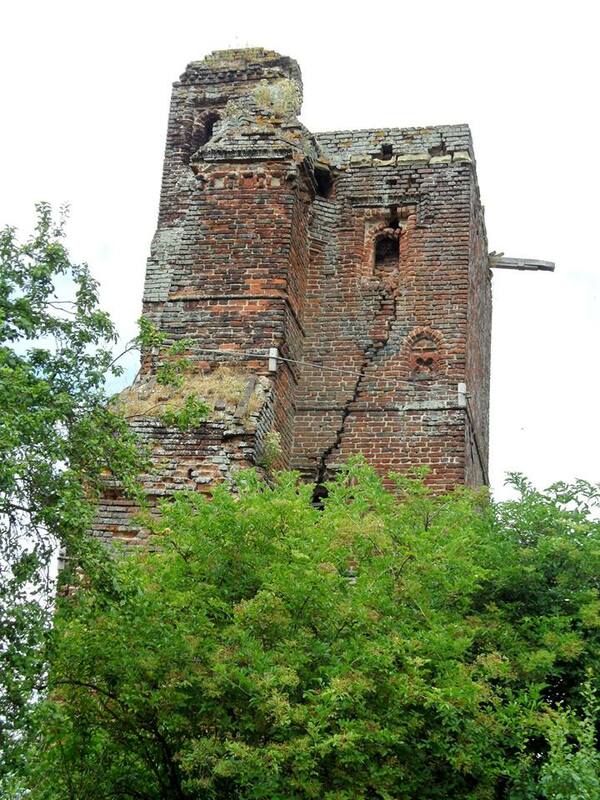 This is the late 15thc/early 16thc watch tower, once part of the now derelict manor house, Hamstall Hall. 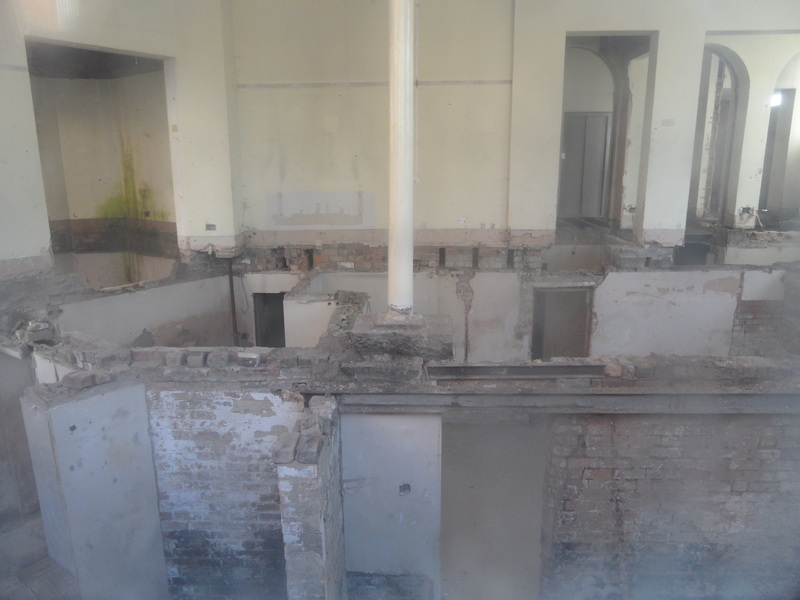 When the Burton Scientific society visited, they climbed a wooden staircase to the roof where they enjoyed ‘a good view of the surrounding area’ – it’s said that you can see four counties from the top. 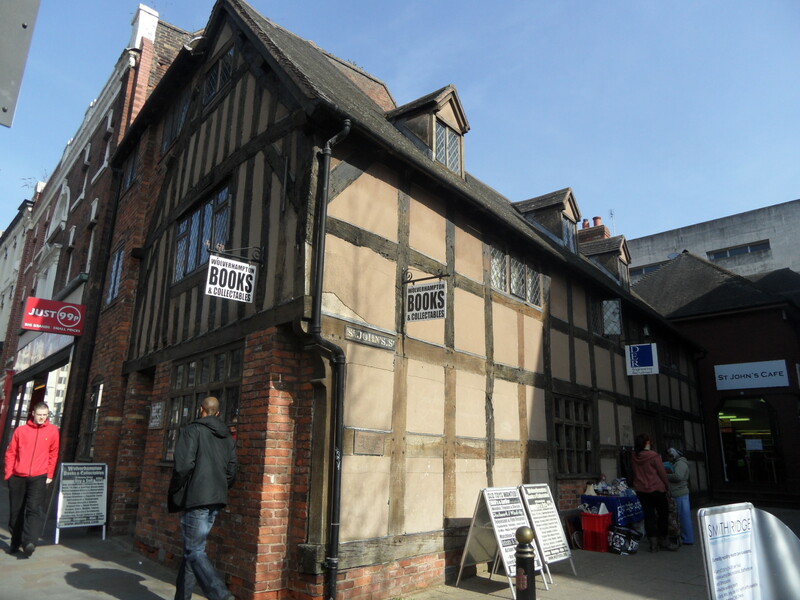 Given that that the hall features on the ‘Heritage at Risk’ List and is considered to be at risk of collapsing, it’s probably best to take their word for it. 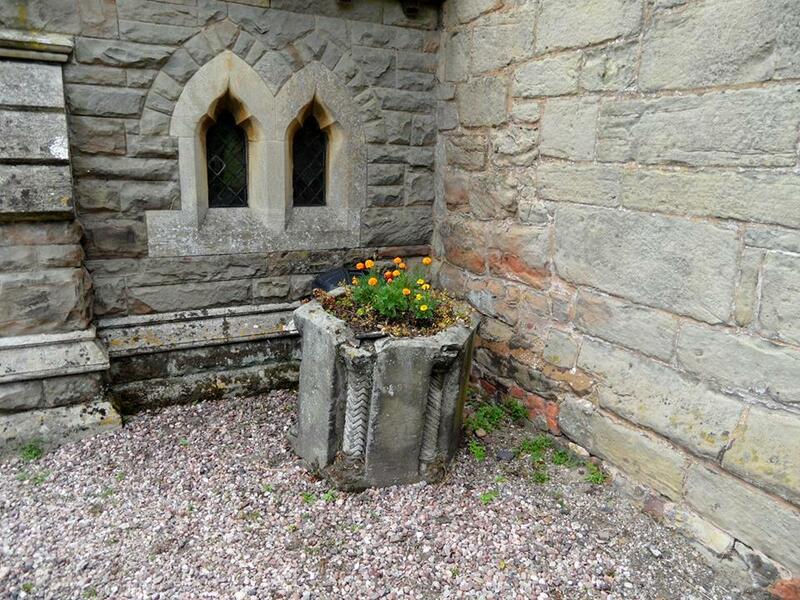 There are other remains of the hall here too, which I missed, including a Tudor gateway, and the porch to the old hall. Showing St Michaels Church and the tower of Hamstall Hall in the background. 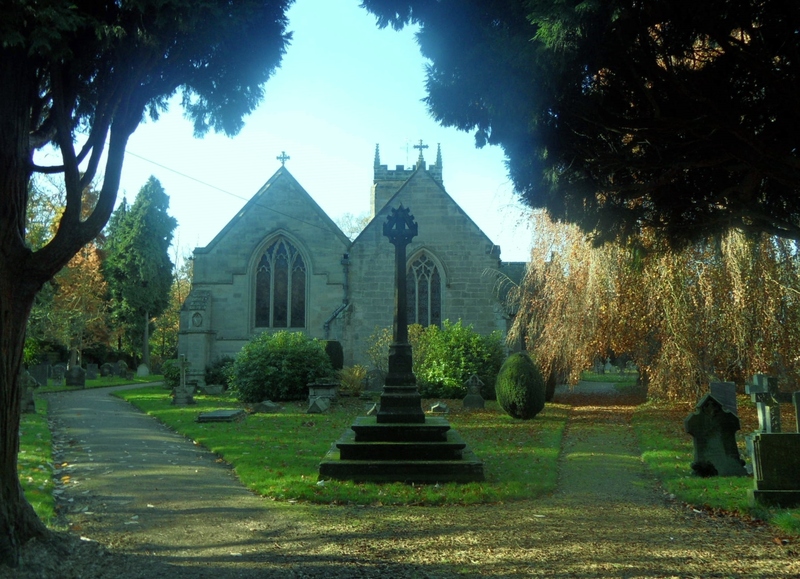 In June 1939, the Derbyshire Times did a feature on a ninety three year old woman known as ‘Grannie Shelton’, who worked as a parlour maid and nurse at the hall, and married her husband on 19th March 1863 at St Michael’s. 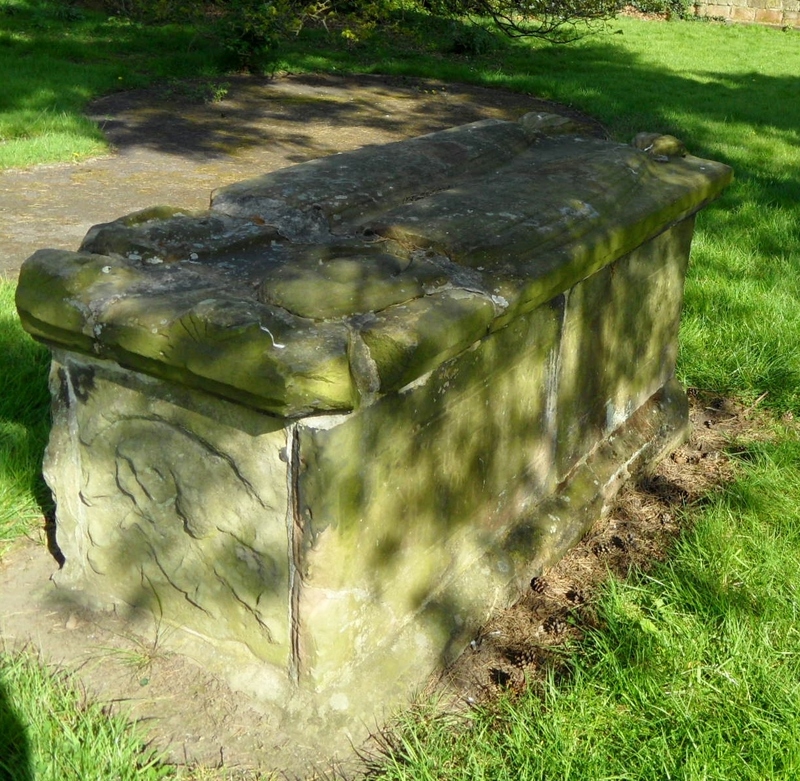 She told the paper that she had never seen a ghost but had once, ‘been down amongst the dead men’ – when a member of the Squire of Hamstall Hall’s family died she entered the family vault to have a look around and saw six coffins inside, each covered by a black cloth but with the white face of each of the corpses visible through the glass. Mrs Shelton also once dressed up as a ghost to scare the pantry boy that she suspected of stealing fruit from the Hall, causing him to run for his life shouting ‘The Devil is in the pantry!’ The devil may not have been in the pantry, but apparently he was found in a small hollow compartment in one of the bedrooms of the old manor house in the form of a stone image, complete with horns, depicted as ‘shaving a pig with red skin’ (I swear that I haven’ t made this up!). 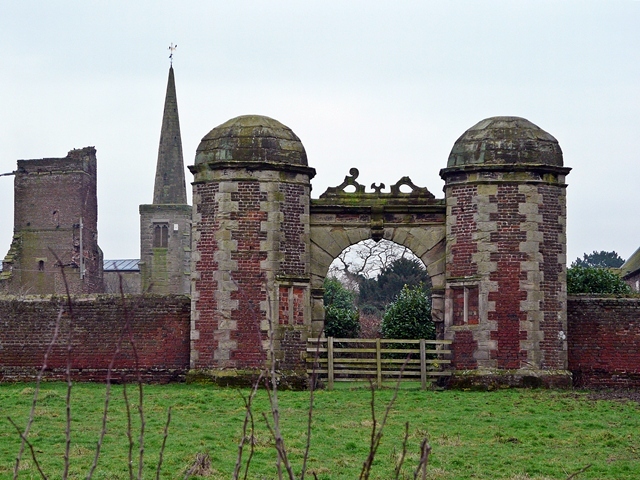 The report suggests that the Hall was formerly a Nunnery, and this hollow would have been somewhere nuns would carry out penance for breaking the rules. I can’t see any reference anywhere else to hall being used as a convent and I can’t help but wonder if it could have been a priests’ hole? 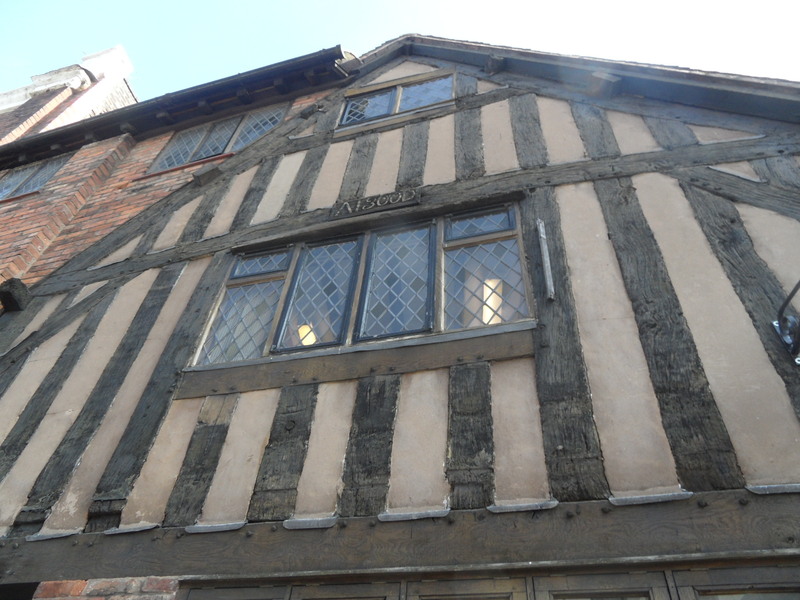 The hall belonged to the Catholic Fitzherbert family from 1517 to 1601. Sir Thomas Fitzherbert was imprisoned in the Tower of London for thirty years until his death on 2nd October 1591. All pure speculation on my part. 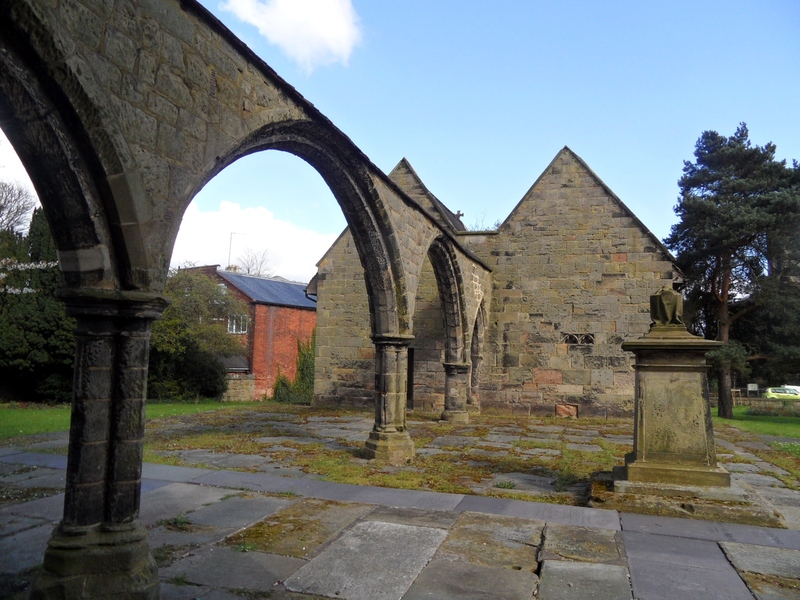 A beautiful ruin dating back in part to the twelfth century, with the base of a medieval weeping cross and the shrouded effigies of two sisters in the churchyard, the remains of the old church of St Augustine in Rugeley are a real treat. 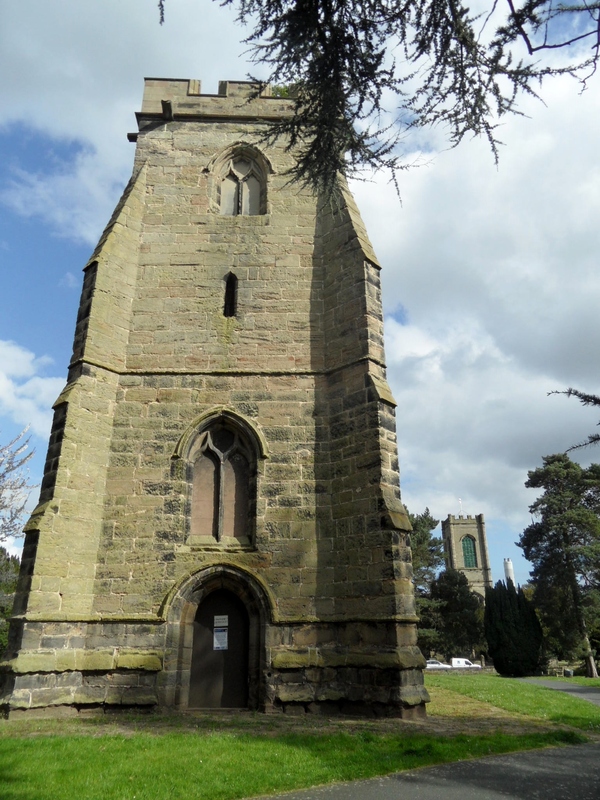 With the population of Rugeley rising in the early nineteenth century (in 1801 there were 2,030 inhabitants; by 1821 the population had risen to 2,667 inhabitants, many of whom were employed in the manufacture of felts and hats), the old church was outgrown and a new one was built on land opposite. 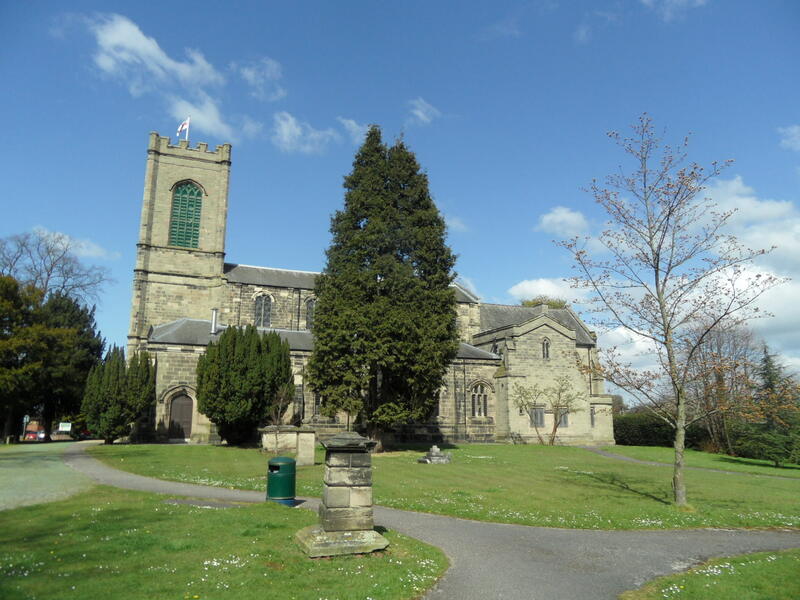 Consecrated on 21 January 1823, the new St Augustine’s was built on land belonging to Viscount Anson, the cost met from a variety of sources. 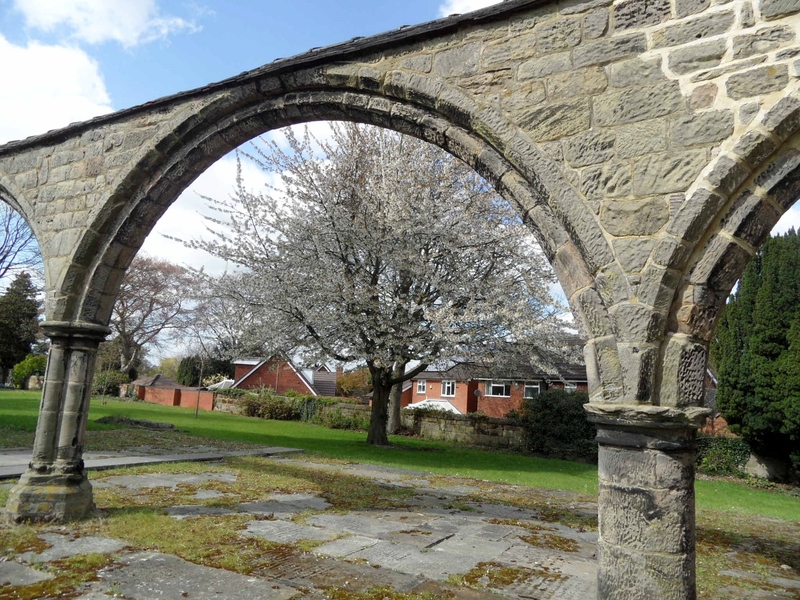 According to some, stone from the nave of the old church was sold off to raise funds, leaving just an arcade of arches to connect the fourteenth century tower with the old chancel. 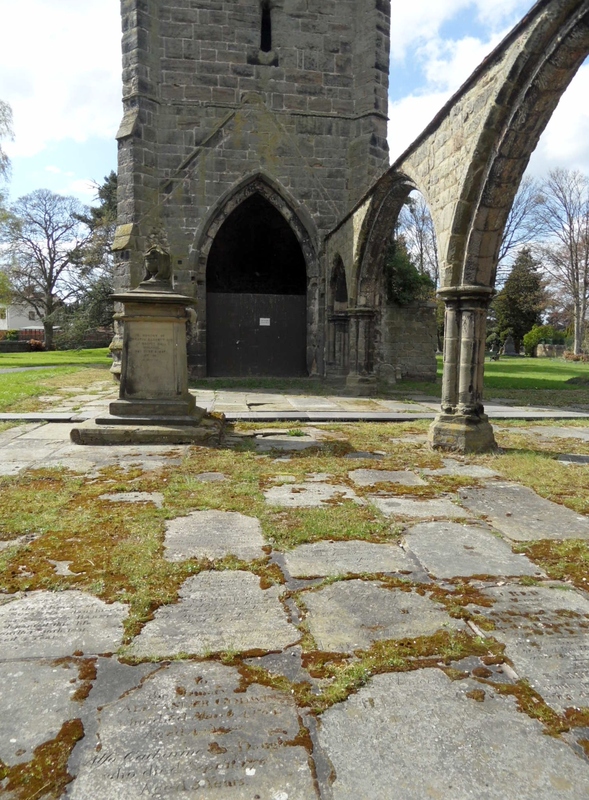 I understand that in the 1970s the church yard was landscaped (or possibly vandalised, depending on how you look at it), and the gravestones which once surrounded the church (as shown in a photograph from the 1860s here on Staffordshire Pasttrack) were broken up and used to pave what was once the nave and north aisle, creating a mosaic of carved names and epitaphs belonging to the old inhabitants of Rugeley. 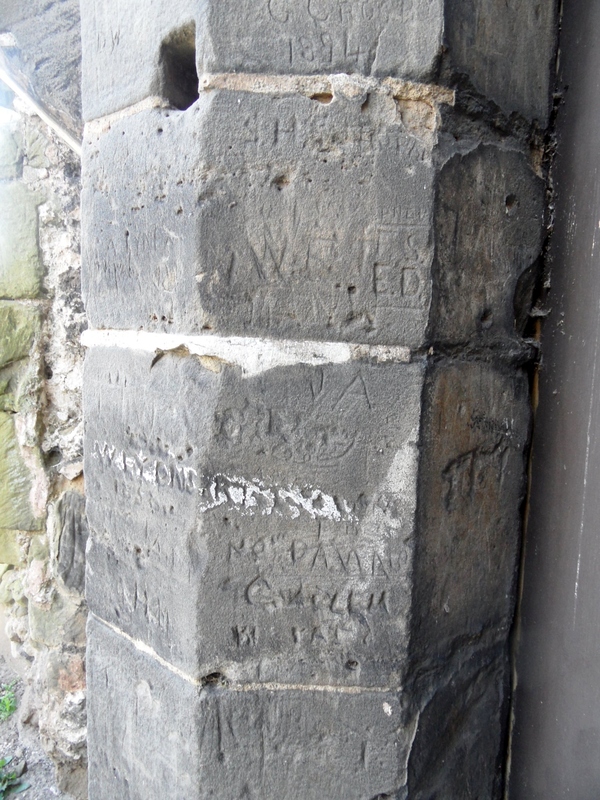 Others have carved their own names into the stone of the tower where bells once rang, but doves and (slightly less romantically) pigeons now coo. 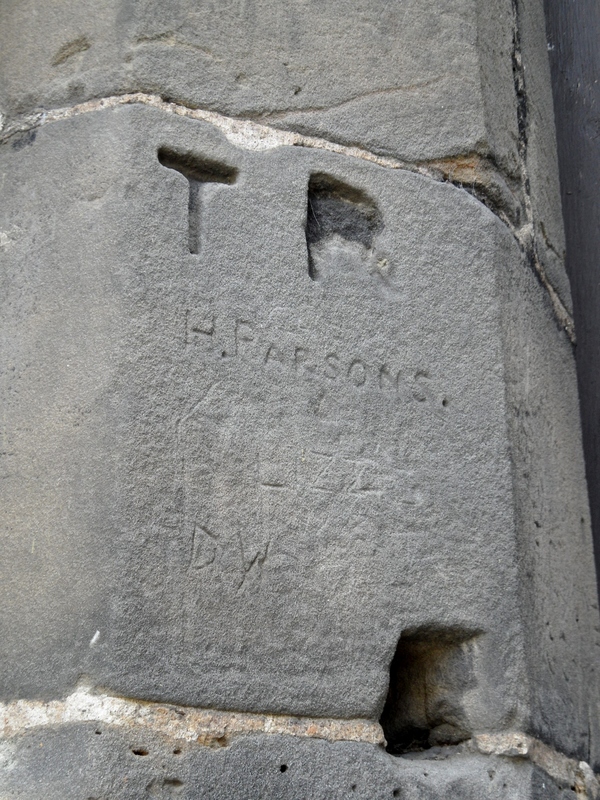 How did H Parsons carve his name so neatly? 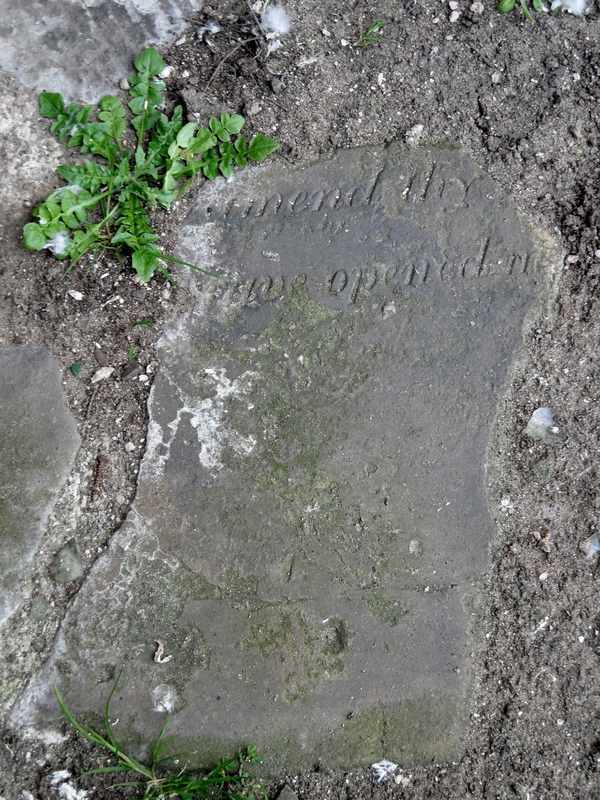 As already mentioned, one tomb that does remain in the churchyard itself is that of two women, Elizabeth Cuting who died in 1695 and her sister Emma Hollinhurst who passed away a year later. 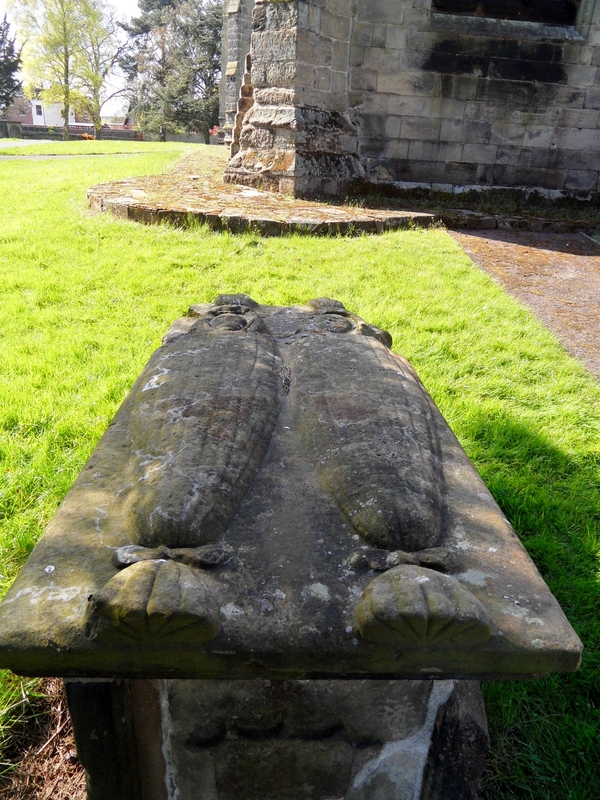 Effigies of the sisters tied into their burial shrouds are carved on top of the tomb. 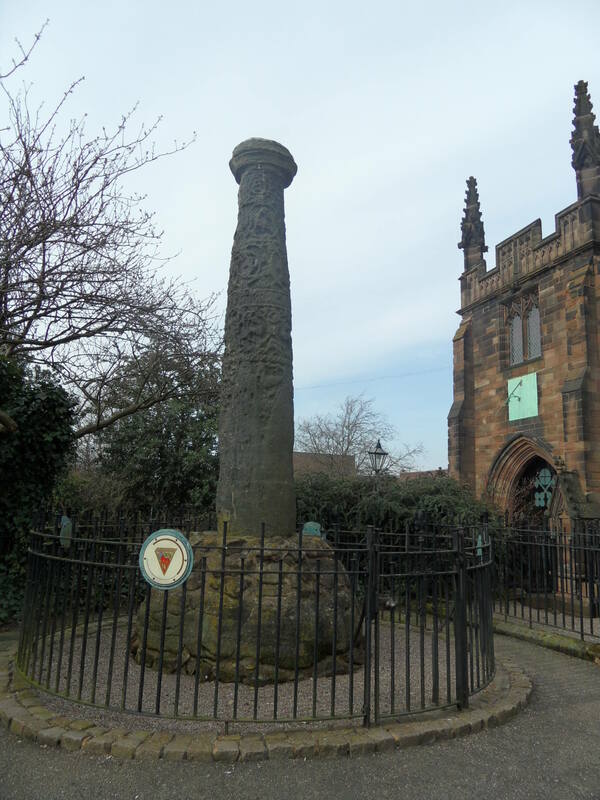 An information board nearby tells how this unusual monument gave rise to a local legend that that the women had been buried alive in sacks by Oliver Cromwell, despite Cromwell dying in 1658. Full marks for imagination but, if you are going to make up a story that you want people to believe, you should probably check your dates first. 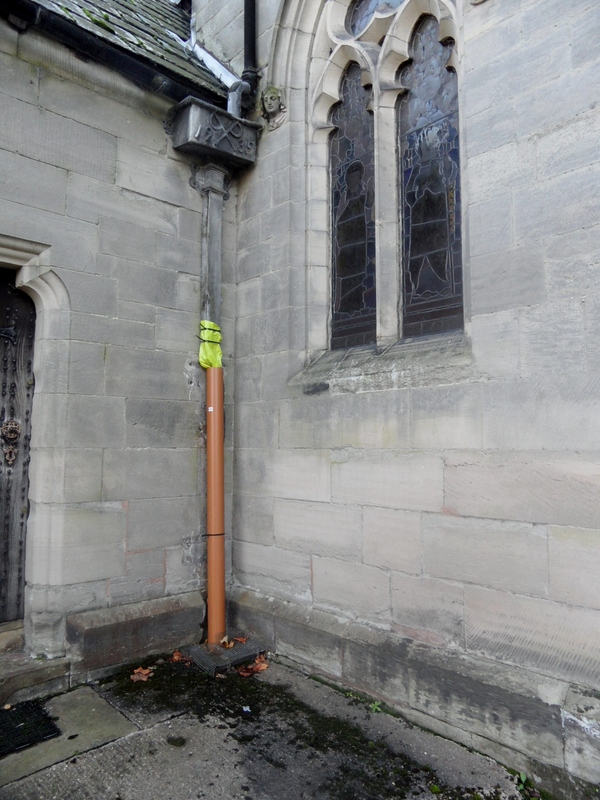 The board also directs you to the remains of a fourteenth century cross, with a recess in one of the corners suggesting that it was a ‘weeping cross’ where penitents would once come to kneel in prayer. 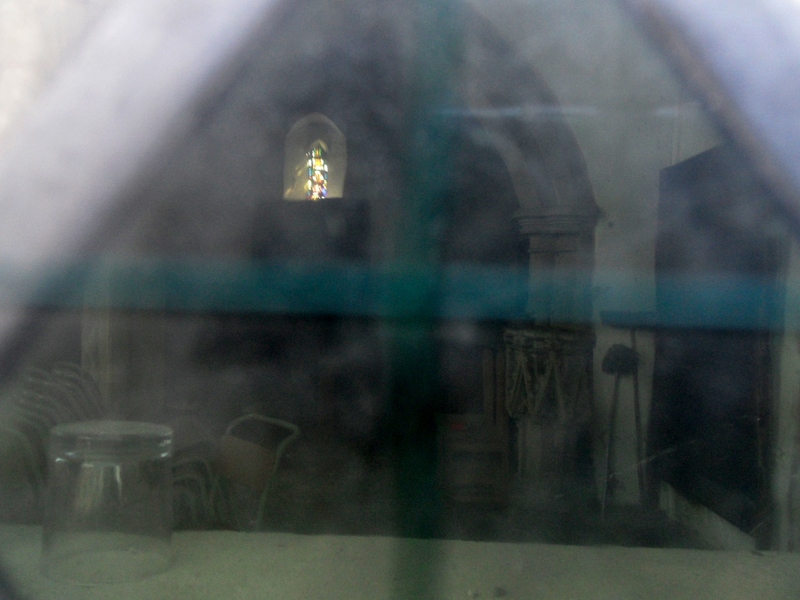 As nosey as ever, I wanted to see inside as well as out and so I peeked through a a dirty window into the old chancel, and spotted some interesting looking stonework and signs that it still seems to be being used in some capacity. 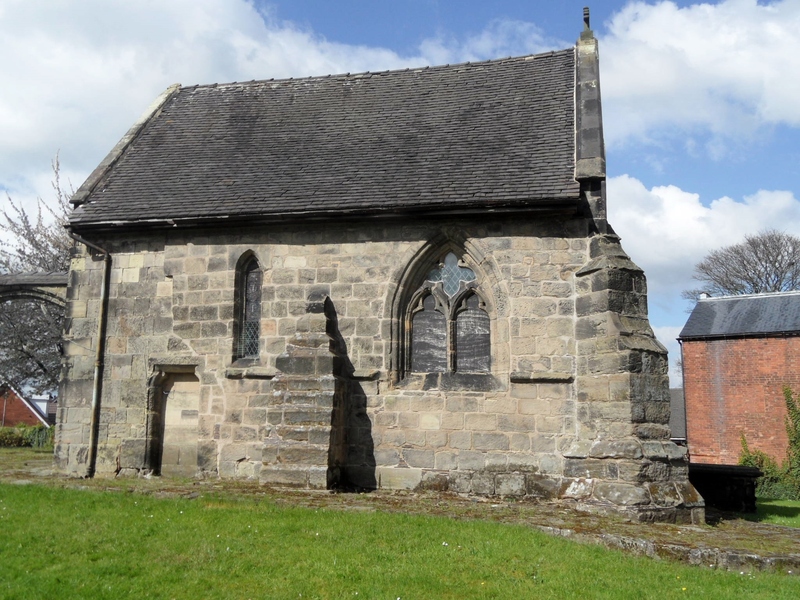 I believe that at one time it was used a Sunday school and also a classroom for the now demolished Rugeley Grammar school which once stood next to the churchyard, where the Chancel Primary school now is. Incidentally, the school has the possibly the loveliest school library I’ve ever seen, in the form of its new Discovery Deck narrowboat, built in 2013 by Nick Thorpe in Hixon and painted over the Christmas holidays by staff and parents. 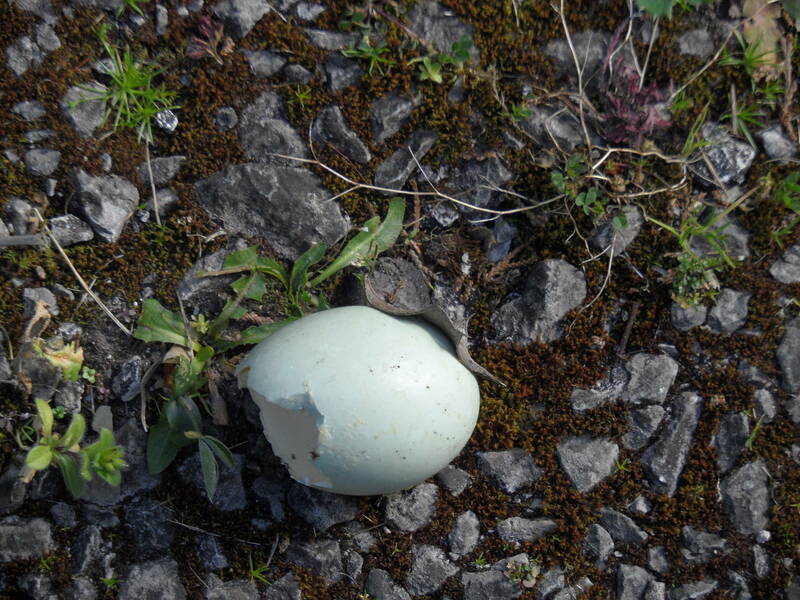 Oh and finally, somewhere in the churchyard I found an Easter egg.